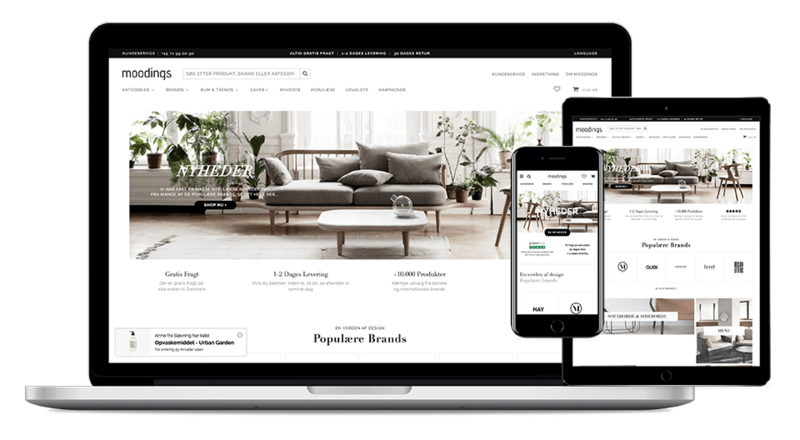 Moodings is an e-commerce website from Copenhagen, Denmark. By curating upcoming and established design and art, they help designers and artists compete on the market. The website runs on Shopify. Improved Page Speed Insights score on mobile and desktop.